Toronto Open Doors on May 25th gave us the opportunity to visit City Hall. The Mayor’s office on the second floor was unusually popular this year. 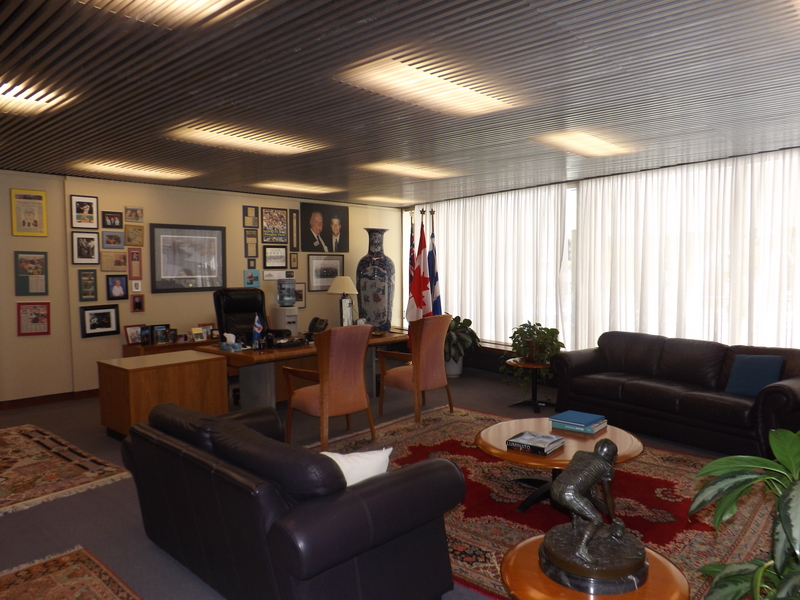 After waiting patiently in line for an hour we were allowed into Mayor Rob Ford’s office. Very smart I must say. Despite the current troubles that he is having, no suspicious items were seen in his office. Nothing to report. 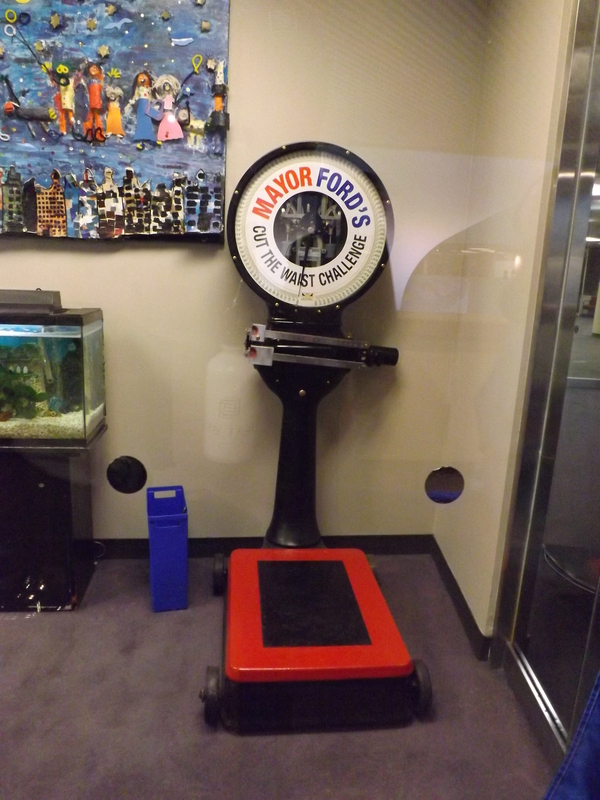 The Mayor’s ‘Cut the Waste’ scale however looked very clean, perhaps it has not been used recently. Winston Churchill’s statue stands just outside City Hall. He looks like he is walking away, at a brisk pace, with a stern face and hands on hips. This of course is not related to the current troubles at City Hall. 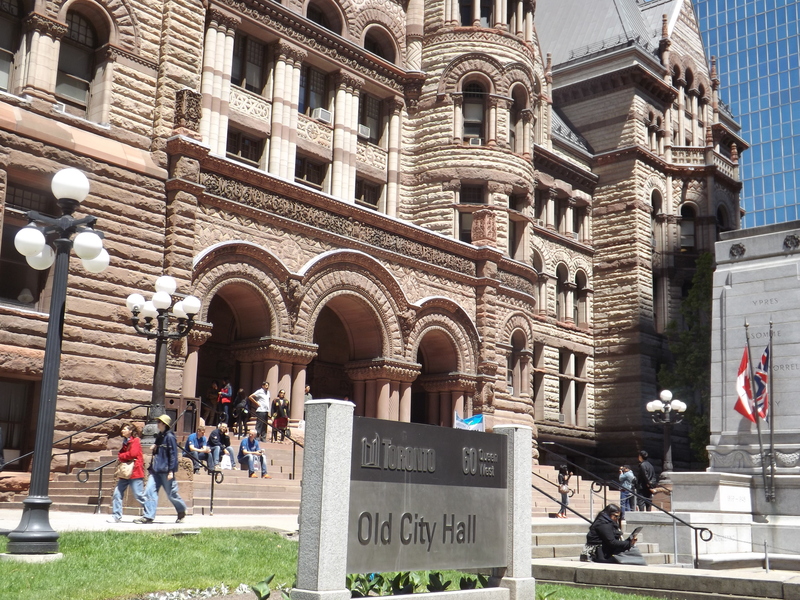 After visiting City Hall and Mayor Rob Ford’s office, I felt a sudden urge to visit Old City Hall. This is where the prosecutors, judges and defence lawyers spend their days, not forgetting those in the dungeons underneath. Regrettably, most areas inside were off-limits. All in all, a great day at Doors Open Toronto.